Im back! Well I've been back since Thursday but this is the first day of non scheduled content so I kinda feel like Im back back now! Today post is going to be is the first instalment of my Trek America week! 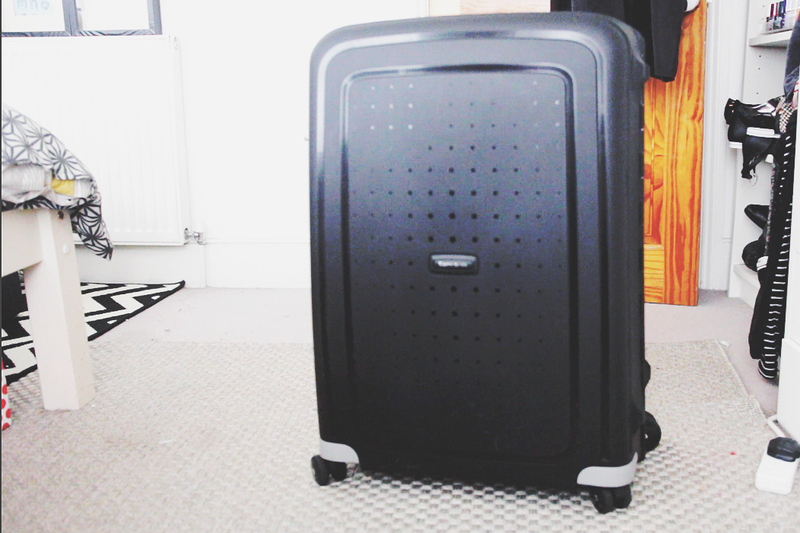 I'll be kicking off the week on my blog with a packing video! Before I left for my Trek America I decided to do a packing video showing you what I was planning on taking with me. It was a super casual video but I thought it might be a fun idea to show what I was bringing with me on my trip. It did also have another section but my memory card decided to corrupt and it was lost in the depths of Cyber space so I cut it down to just the clothes I bought with me! You can watch my video over on my Youtube Channel or above for a full run down on all the things I picked to take with me! Now that Im back I thought I'd add a few bits about my post things I’d change now I’m home and reflecting on the trip. Id really recommend bringing long pants/trousers and something like leggings or yoga pants. I last minute packed sweatpants but no jeans so I ended up buying yoga pants while I was away. It’s America so everything was super easy to get hold of but you could save yourself money by packing them with you. I’d already planned on picking up an ‘murica hoody so I only bought the one I wore on the plane which was an error in hindsight. Bring a few warm clothes even if you think its going to be hot because even thought it was generally pretty warm it does get incredibly cold in the evenings. Just because you’re in the desert it doesn’t mean it won’t get cold! It’s worth noting that our trip was unseasonably cold and rainy too! I also packed a dress for our last night in Vegas as I wanted something a little over the top/dressy for Vegas, because it’s goddam Vegas! I also didnt pack heels, which again most clubs in Vegas expect you to wear some sort of dressy shoe (sandals are fine, just not trainers!) I ended up buying some Steve Madden ones which... er... lets just say they went for a swim in the pool. Apart from that I used pretty much used and wore everything I bought with me. I would 100% recommend bringing a sleeping bag liner as it creates a extra warmth layer. And dont forget to pick up things like suncream, bug spray (although I didn’t use it at all on the trip and didn’t get bitten, Im highly allergic) and a pillow from a Walmart stop along the way! Bring lots of socks, more than you'll think you'll need too as things do get a little sweaty in the foot department! Haha, this blog post was really helpful. I'm going to go ahead and watch the video now! Surely I can't be the only one that likes packing videos? The suitcase sounds ingenious, I'm so tempted to buy it! I'd completely change what I packed for my first Trek America trip! and great advice - some of the evenings were really cold! I can't wait to go on the Trek I won with #itrekhere! I entered it after seeing you were on the trip and followed the link to the competition!! Great video, this will be handy for my next trip! Packing for America can be so tricky - hot morning and chilly nights, although Vegas is so hot you just want to walk around in the nud'! These kind of videos are stangely addictive, it seems odd to want to know what someone else is packing but I love it! Hope you had a great time Lily! I love seeing videos like this so, so much especially as I have some travel on the horizon! Your video is very interring and where can i find the packing cubes? On the page to create to the next web page http://kahootloginit.com out using quizzes, challenges, examinations. keeping that you don't have to search the internet for the current Mobdro Download In on the internet installation straight accessibility. Click that Download Now switch. A pop-up appears on the display with Install tutuappguide Recognize the account for TuTu Helper app as well as trust fund it. If the details you provided is appropriate, you will currently be required to your account. iTunes Account Settlement alternatives by highlighting them as well as altering the details in the boxes.